Who are eligible for SEIS, Services Exports from India Scheme? Who are not eligible to claim scheme under SEIS? How to utilize duty scrip issued under MEIS and SEIS? 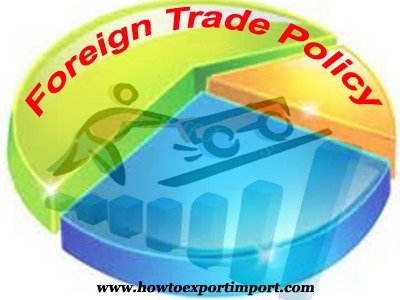 Here we discuss about SEIS, Services Exports from India Scheme introduced as per Foreign Trade Policy of India 2015-2020 from 1st of April 2015 to 31st of March, 2020. 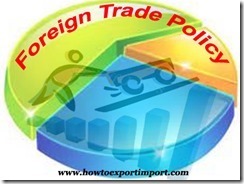 SEIS, Services Exports from India Scheme under Foreign Trade Policy of India 2015-20 is a modification of SEIS, Served from India Scheme under Foreign Trade Policy 2009-14. When shall SEIS come in to force? The SEIS Scheme shall come into force with effect from the date of notification of this Policy, i.e. the rewards under SEIS shall be admissible for exports made/services rendered on or after the date of notification of this Policy. SEIS scheme is introduced under Foreign Trade Policy 2015-20 to encourage export of notified Services from India. Instead of Indian Service providers the term SEIS reads as SERVICE PROVIDERS LOCATED IN INDIA. The rate of SEIS scheme under Foreign Trade Policy 2015-20 is based on net foreign exchange earned on services. The reward issued as duty credit scrip, would no longer be with actual user condition and will no longer be restricted to usage for specified types of goods but be freely transferable and usable for all types of goods and services tax 3 debits on procurement of services / goods. Debits would be eligible for CENVAT credit or drawback. The present rates of reward are 3% and 5%. The list of services and the rates of rewards would be reviewed after 30.9.2015. Free Foreign Exchange earned through international credit cards and other instruments, as permitted by RBI shall also be taken into account for computation of value of exports under SEIS. As per Foreign Trade Policy 2015-20, SEIS is eligible to units of SEZs, Special Economic Zones. Who are eligible for SEIS, Service Exports from India Scheme? The above details explain about Service Exports from India Scheme (SEIS). If you would like to express your views about SEIS scheme under FTP 2015-20 you may opine below. Share your thoughts about this subject SEIS scheme under Foreign Trade Policy 2015-20. ESSAKI RAJ: On 16 September 2015 Sir, Could you pls tell us some of the services of MEIS SCHEME. Dinesh Deore: On 13 August 2016 Please let me know documents required for SEIS online application. sudheer stalin : On 17 August 2016 I am Sudheer stalin. you looking nice. u have enormous knowledge in the field of exports and imports.sir i want to study abouts foreing trade which course is suits for me? plz rply me. Krunal Kalyani: On 18 August 2016 I have been closely reading all your articles and get lots of knowledge by it. Thank you so much sir for guiding us. I have one query regarding Under Chapter 3 benefits. One of my client export his product to USA under 2 different HS CODE, in 1 HS code he is entitled to claim under FPS and other falls under MLFPS in same shipment (EP COPY). My question is can he claim for both the scheme? I spoke to DGFT official at (Gujarat) they said YES as it comes under 37D so they can claim under both this scheme together as duty credit license will be issued as (FPS). Sir kindly requested to guide me the correct way to claim under chapter 3 benefits. Sarvin Warden: On 27 December 2016 I would like to consult an SEIS expert. Does anyone have a contact? How to Import to Tunisia?